Then what are you looking for a simple thank you? I mean.. to reach the extent of going to court..I am sure he is not just seeking a acknowledgement.. Poor Rafa is all I have to say about this mess because I am sure he has much more important matters on his mind.. The Act of Settlement between the tennis player Rafa Nadal, world number two, and coach Oscar Borras Alicante was held on Monday 12 without having been "compromise" between the parties, as the player's lawyer has denied the facts on a alleged influence of technical improvement Balearic game. This morning was held in the Court of First Instance No. 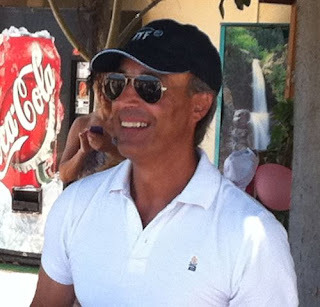 2 in Manacor, the Reconciliation Act of Oscar Borras, represented by attorney James Duran Mary Magdalene, and Rafa Nadal, who did not attend to be contesting the Masters 1000 Indian Wells and gave powers to the Attorney Antonio Sastre Gornals. Both were listed in Manacor court after the judge accepted the demand of Oscar Borras Reconciliation of Oct. 21, in which the coach claimed the world number two recognized the improvement in his serve from a class master the technician would have given in 2009. According to the minutes of the settlement, which has had access to Europa Press, the lawyer for Nadal denied "the facts and grounds of the ballot application, for reasons which will be presented in the procedural time." Nadal did not go to court since it debuted Sunday at the Masters 1000 Indian Wells, in which he defends the position of runner-up against Argentine Leonardo Mayer, whom he defeated 6-1, 6-3 and will face in the next round with fellow Spanish Marcel Granollers, who beat Tommy Haas (6-3, 2-6, 6-3) in a matchup unpublished. Borrás, which has an academy in the Alicante town of Torrellano, filed a lawsuit settlement in which he requested that Rafa Nadal acknowledged the influence of the two-hour class that received the October 26, 2009 in Manacor, available in ' www.youtube.com/watch?v=GljqJv84tTI ', in improving its service, which allowed him, according to him, win the U.S. Open in 2010. According to Alicante coach, was the uncle and Nadal coach, Toni Nadal, who "had agreed with Mr. Borrás that acudiera that day to train the serve or service" because "he was concerned with their service and wanted to improve it , giving it greater speed and efficiency, "reads the request for conciliation, with 18 points. The coach considered "entitled to recognition" that he was "the turning point for Rafa Nadal saw his serious defects when out", something that could be seen for him in the first tournament after class, Paris-Bercy 2009 and increased 170-175 km / h to 195-200 km / h on the break. Benicarló coach goes even further and at his personal website published an article (ctoscarborras.com/archives/226) which gives the keys, he said, to Rafa Nadal can beat the world number one, Novak Djokovic, who beat the Spanish in the end of the first Grand Slam of the season, the Australia Open. Speaking to Europa Press, Oscar Borras disappointed on Monday pleaded for Rafa Nadal and his environment have denied the facts in the court of Manacor. "What I wanted was to help Rafa to improve his service. They took advantage of this teaching and not me alone. I have never attempted to use his name but I have tried to improve his game. 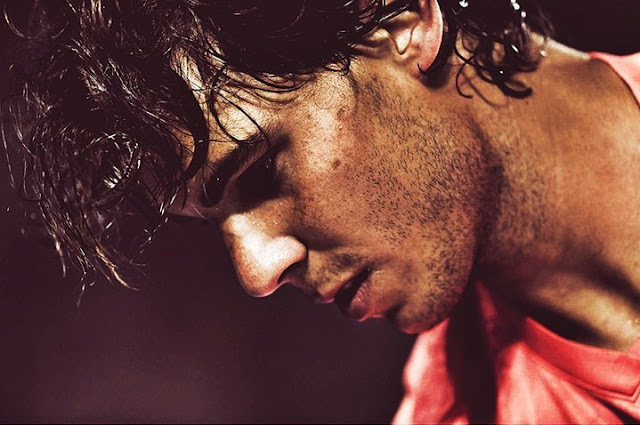 I've been waiting and his reaction and his uncle , Toni, have been the lack of respect and ignorance, "he said. Borrás insisted that its sole purpose is the "recognition" of Nadal. "I seek not money or fame. Yes there was talk, at the time, of certain amounts, but I've never taken anything for that class. Never. I took two years to come to light because, at this time, hoped to reach an agreement, but seeing this disrespect and ignorance so obviously I have the right to a judge recognize it, "he announced. The advanced technical and its intention to file a lawsuit against Rafael Nadal, once Monday has extinguished the possibility of reaching an agreement in the Act of Settlement. "I wish the press and the public see the video and documentation that will present in court," moved the coach.